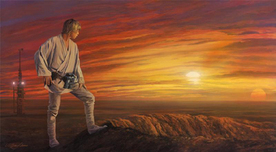 "From his nine years in Walt Disney Feature Animation to his time working on great projects like Star Wars, William cannot remember a day in his life that has not been consumed by art." William Silves was raised to appreciate the arts and draw inspiration from his surroundings as his father was a working artist. William Silvers was born in New Bremen, OH and from much encouragement from his father to pursue his interest in the arts, William Silvers attended Bowling Green University where he received a BFA in Graphic Design at the age of 21. William Silvers worked for several ad agencies in New York as well an illustration studio once he returned to Cleveland, OH. William Silvers next venture led him to co-found Live Wire Studios, a full service art studio. William Silvers began his working relationship with Walt Disney Feature Animation in 1995. Through his nine years in animation, William Silvers worked as a background artist for such animated features as Mulan, Tarzan, Lilo & Stitch and Brother Bear. Both, Brother Bear and Tarzan have been critiqued by experts as having fabulous realistic backgrounds and nature scenes. Although William Silvers is no longer a part of animation, William continues a strong relationship with the Walt Disney Company though contributions on special projects. 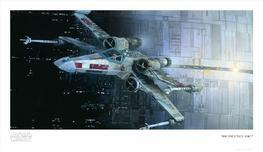 In 2004 William Silvers worked as a matte painter for Industrial Light and Magic. It was there he contributed to the films Day After Tomorrow and Star Wars Episode 3. William Silvers moved back to Florida and worked as Associate Art Director for EA Sports, Tiburon and helped develop titles such as the award winning game NCAA Football. 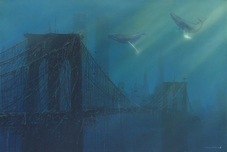 William Silvers has a great passion for painting wildlife and ocean themes. William Silvers has won several awards including Region 1 at the 2005 Arts for Parks and Founder's Favorite at the 2001 Arts for the Parks annual contest in Wyoming. William Silvers has also been a member of Society of Animal Artists for the past five years and in 2005 had a painting accepted in the Society's 45th Annual Exhibition. William Silvers is a profound painter, illustrator, photographer and advoctate for the world! Remember every time you purchase a William Silvers artwork over $995, shipping is FREE in the continental U.S. and there is NO SALES TAX when you purchase outside of Colorado. We SHIP WORLDWIDE and offer Layaway for William Silvers art.